Half-elven Pathfinder and noble detective Varian Jeggare is down on his luck and searching for it at the bottom of a bottle, sunk so deep into his own despair that not even his loyal bodyguard Radovan—a streetwise rake with the blood of devils in his veins—can drag him out of it. But when a job gone wrong puts a price on Varian's head, can Radovan hunt down the assassin and save his boss from their enemies—and himself—before it's too late? From fan-favorite author Dave Gross, author of the Pathfinder Tales novel Prince of Wolves, comes a rollicking urban adventure story set in the award-winning world of the Pathfinder campaign setting. Though this short story stands on its own, the further adventures of Radovan and Jeggare can be found in the novel Prince of Wolves, which begins shortly after this story ends. this is a great work on its own, like all of Gross' work, but boy does it just synergize the more you read. I'll let the 5 stars stand for themselves as far as the main story itself - and you do not need to know anything before reading this - but placed after Hell's Pawns and before prince of wolves, you're now getting to see the very complicated and shifting dynamic between Radovan and Jeggare. Gross has loaded up both characters with lots of quirks and foibles, not hackish 2D versions like hollywood, and this work shows off how Radovan handles things when his "boss" is not at his best. But even deep in his cups, Jeggare is no 2D drunk wallowing in despair - we see a different side of him as well, one no less competent or imposing, just with a twist we haven't seen before. I bought this epub and converted it to .mobi using Calibre for my kindle. Worked fine with no errors. This book takes place after Hell's Pawns and before Prince of Wolves. Its a short tale about an assasination attempt on Jeggare after the events of Hell's Pawns. I felt that this short work had more to do with the events of Hell's Pawns than those of Prince of Wolves. Regardless, it is not required to enjoy either of those products, and is a thrilling little tale in itself. A nice lead into Prince of Wolves. Read this before that novel. Dave Gross has created two memorable characters in Varian Jeggare and Radovan. With their introduction in this story we meet two characters that I hope will give us years of additional adventures. This story serves as a prelude to Prince of Wolves and should be read by anybody who enjoyed that novel or who may be thinking of picking that novel up. As somebody who has literally hundreds of the various D&D novels put out first by TSR and then by WotC, I find this offering from Paizo to be a more mature venture into the genre. This is worlds ahead of everything I previously enjoyed from TSR/WotC. And when I say I am a fan of those novels, my collection begins with the Gord novels from Greyhawk and goes through all of the various campaign settings. I adored those books and with this work when combined with Prince of Wolves, I find the same sense of wonder I felt when I first picked up The Crystal Shard. The only thing I can add to this is I certainly hope we one day get more details on the Henderthane affair. I just got this and am having some trouble downloading it. When I click on it, nothing happens other than taking me back to the top of the page. It looks like our download server had a bit of trouble last night. It looks much happier now, so you should be able to give this another try. What format is this in? Is it PDF, or something else? It's an ePub file, which works with iBooks on Apple devices and a variety of other e-readers. You may want to take a look at our ePub FAQ. Any chance of this being put into PDF format as well in the future? You don't need a pdf version to read the stories. Epub readers are free and easy to find. One of them runs inside ANY Firefox browser. Never say never, but I don't think its something we're currently planning on. 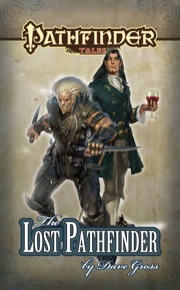 All well and good, but since everything else Paizo releases electronically has a PDF format version it seems a little silly to need to download another reader just for this. I can make a PDF from the weekly fiction releases almost as easily and save myself the purchase price. I'd buy for the convenience of a PDF from my PoV, not because I need to. I guess the problem is that if Paizo were make a PDF of this, they would want to have it their usual trade dress and formatting and so on, I guess. The ePub format, however, is designed to be free of this, so that it can be used on as many devices as possible, so this has probably not been done and would require additional work - a lot more than just converting it to a PDF with some kind of tool, which basically anyone can do himself. I guess the problem is that if Paizo were make a PDF of this, they would want to have it their usual trade dress and formatting and so on, I guess. The PDF for Prince of Wolves is laid out just like the paperback, with no extra frills. I didn't expect more than that for a digital release of the webfiction. 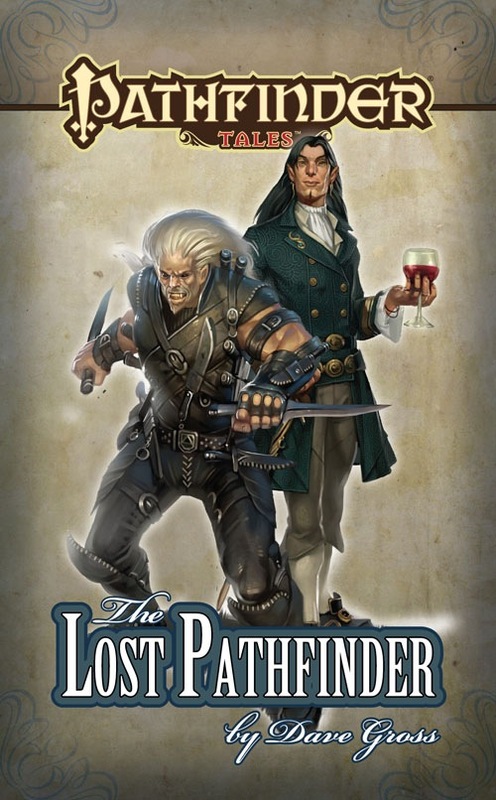 Indeed, from your description of the format that's pretty much what the epub release of the Lost Pathfinder is, so why not provide it in the PDF format as well? While I agree with you that epubs are a good way to go, the above suggestion should probably be removed from the forum. This really makes me worry about how safe installing the guy's software might be. That said, epubreader ( https://addons.mozilla.org/en-US/firefox/addon/45281/ ) does appear to be maintained and the Web site for it is on-topic, at the least. I haven't tried it yet, but it installed fine. PS: I have no affiliation with any Firefox addon, nor any other interest in which one is downloaded other than for the protection of fellow users. Frankly, if you aren't going to read these on a Kindle-style reader, I don't get the need for a PDF version. If you read it on laptop or desktop or even an Ipad, you can just go to the browser. The web fiction is just short stories/novellas which will be formated like a typical novel... no fancy images or margin art. A PDF version won't easily size for multiple e-readers which makes it real difficult to read. Is there something I'm missing? Not everyone is online all the time. I'm in Kuwait at the moment, and the internet connection is tenuous at best in my CHU, and I'm not really comfortable browsing the Paizo website on my work computer. I'm not asking for any fancy formatting. I might even end up downloading a e-pub reader and seeing if I can then print it to PDF. But as Paul Ryan said, it seems a little silly that Paizo puts out almost everything it publishes in PDF form, with this being one of the very few exceptions. Fair enough. I didn't assume any malice, just wanted to warn people off before they trusted that addon. To the guy who didn't want to browse the site during the day, I think the Web site would do fine for you. Save the HTML and read at your leisure on any device that sports a Web browser. But as Paul Ryan said, it seems a little silly that Paizo puts out almost everything it publishes in PDF form, with this being one of the very few exceptions. Everything *else* we publish has already been formatted for print in a page layout program, which happens to allow it to transition nicely and relatively easily to PDF. The web fiction is never laid out that way—it's only ever formatted in HTML, which happens to allow it to transition nicely and relatively easily to ePub. 2: Spend almost no additional time creating a generic PDF from the existing HTML/ePub—but it would look somewhat cheesy compared to our other PDFs, and we'd surely get complaints from people who would be disappointed that it isn't up to our usual standards. If I have to choose between making people upset because they can't buy something they want, or making people upset because they bought something that they were disappointed with, I'm going with the first option... especially when—if file format is really the only question here—they can make their own generic PDF from the ePub with little trouble. Is the plan to offer the other short stories in the ePub format? At any rate this product was great unexpected bonus. Yes... we'll be putting up several more, one week from tomorrow. Future ePub compilations will generally follow each story's conclusion by a couple of weeks. Excellent! These are perfect for reading on an iPad while I rock my son to sleep. Yea I wish I had it when he was at that age. Of course now he is 2 1/2 and has a Youtube addiction watching trains "woo woos" and the videos of Lego set being put together in "stop motion" ( my mind just went blank on what type of movie that is). He of course is at that age if you tell him not that video he dosnt play it. He'll even run to me with the iPad and point to the thumbnail of the video and say "nooootttt thaat....!". Keep saying it until you also say not that one. Of course him and mommy are going to West Virginia tomorrow for two weeks. Now I am just rambling off topic! Good epub. In fact going to email Air Cargo World and encourage them to do the same with their digital subscription. I haven't even heard of the term ePub until reading this thread, but being in advertising, the PDF is the current universally accepted format for transporting files. Probably largely due to Adobe Acrobat Reader being free and relatively well known. I would welcome a generic PDF, rather than track down yet another piece of software, but I'm not insisting upon it. My thought would be to say something to the effect of a disclaimer, 'the PDF is an unpolished product, produced solely for ease of use/compatibility as requested by a portion of our wonderful customer base... the actual, finished product is the ePub file'. That said, I can understand the extra 'man/machine hours' or lack thereof required to do something, as where I work the management REALLY DOESN'T. Our department has a phrase since the last 2 lay-offs when we're handed more "priority" work, "Okay, sure thing... now, what DON'T you want me to do?". PDF is a better format for presenting laid out books. It preserves the designer's intent, right down to the definition of what a "page" is, what fonts and text styles are used, where images and other graphics are located on that page, and much more. The user has no control over how it looks, and if the "page" doesn't fit your device perfectly, you have to make compromises about how you view it (shrink it, show part of it and scroll to see the rest, etc.). ePub is a better format for running text. "Pages" are defined by the reader (or at least the reading device). Readers have the ability to select font style and size, and often colors and backgrounds, to make reading easier. But there's no ability to ensure that any given image is presented at any particular size or resolution, or even in any particular place in relation to the text. Using either format to present something it's not really intended for, while often possible, involves some degree of forcing a square peg into a round hole. We've chosen to put our effort into optimizing products for formats that present our works in the best light. If you've purchased the digital version of Prince of Wolves from us, you have access to both PDF and ePub formats of the same book. (For those tuning in late, the novels will be available in both formats only because the PDF is essentially a by-product of preparing for print publication.) Compare them against each other—especially on a portable device—and I think you'll find that the ePub is the one you'll want to read. Will the short fiction ePubs be a part of the subscription? We don't currently plan to have a subscription for the Web Fiction. Besides the fact that they are inexpensive and digital (meaning we have very few incentives to offer for subscribing), they're also already available for free, so it's an odd thing to ask the people who are primarily subscribing for books to buy automatically. I'd like to ask for some help here: I just bought the story and downloaded it to my Toshiba netbook which runs Windows. Is there any program or the like I can get (hopefully free) so I can actually read the story now? How often will the short fiction be made availible for download? Likely every few months--it's easier to publish them in batches. I don't know if its the best e-reader application out there, but Calibre is free and available for a variety of platforms. There's a large list of other ePUB-compatible applications here on Wikipedia. That said, epubreader ( https://addons.mozilla.org/en-US/firefox/addon/45281/ ) does appear to be maintained and the Web site for it is on-topic, at the least. I haven't tried it yet, but it installed fine. Thanks ajs. I can read the stuff I bought now!